Do you have a problem with pesky birds leaving droppings or spreading lice? Enviro Guard Pest Management have tailored solutions to fix your bird problems. Our team of expertly trained pest removalists are ready to aid you in removing or relocating pesky birds from your property. South-East Queensland is home to many native and non-native bird species, each of which feed, nest, and roost uniquely. Enviro Guard Pest Management have a range of bird management solutions to combat bird nesting habits and their lice. Birds that roost in close proximity to the city are well known for leaving their unhygienic and unsightly droppings where our daily activities occur. They are also known to spread bird lice throughout homes and office complexes due to their nesting habits. Bird lice have been known to crawl through entire buildings, using the air conditioning vents and cracks or poorly sealed walls to do so. 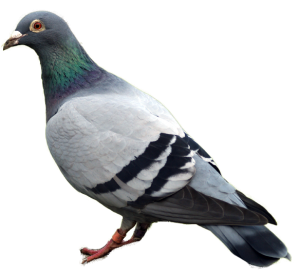 Pigeons are a well-known species of bird, often found in large cities all around the world. There are many different species of pigeons, all of which display vastly different traits. City pigeons are notorious for spreading bird lice and roosting in inappropriate areas of buildings, such as bell towers, guttering, structural beams, and just about anywhere else they can perch. Just like the pigeon, Myna birds come in many different species. 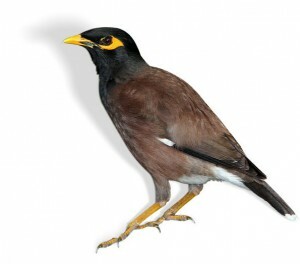 Australia has two distinct types of Myna birds, native and Indian. The Indian minor bird was introduced to Australia, and has caused problems to many native bird and small mammal species, as they chase them out of their local habitat. Native Australian minor birds are less pesky, unless you’re on a picnic. They love bread! Their main source of food is fruit and figs, hence they are also deemed a pest for backyard farmers or local fruit growers alike. Both species are well known to carry bird lice. 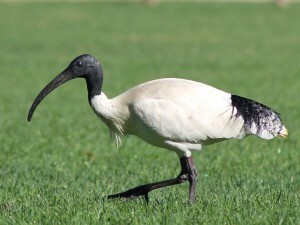 The Ibis is a large white bird that is often compared to and labelled as the rat of the sky, as they scavenge for left-over food scraps on the streets. These birds are no stranger to local bins and garbage tips, in fact, they are well known to swarm such areas where human waste is discarded. Besides their pungent smell, the Ibis is simply a pest because of their ill-mannered presence in public areas. 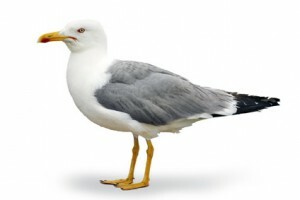 Seagulls are the most famous food snatchers of all time! These pesky beach lovers can be found in close proximity to the ocean shores and are not afraid of human interaction. Never leave your food unattended when visiting Australia’s beaches! Seagulls are always on the prowl for your food, no matter the size. If you’re planning on visiting the beach, practice speed eating first… or Seagulls may just beat you to your lunch! Have you ever seen cyclists wearing those funny cable tie spikes on their helmet? That’s because they’re avoiding the swoop of a Magpie! These pesky black and white birds are well known for picking on the local Postman and other passers-by, using their beak as a weapon of mass irritation. Fun fact: Magpies have facial recognition! 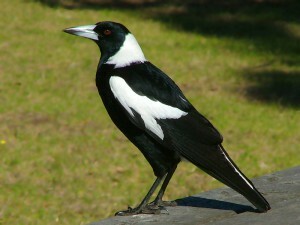 A Magpie can recall if they have swooped you or not, and will continue to pick you as one of their favourite targets! Besides the whole swooping thing, magpies don’t really pose a threat to our garbage, instead, they opt for a more wholesome diet of insects, fruits, small mammals, and occasionally pet food. Besides the whole swooping thing, magpies don’t really pose a threat to our garbage, instead, they opt for a more wholesome diet of insects, fruits, small mammals, and occasionally pet food. Plovers are another bird species that are known to swoop. 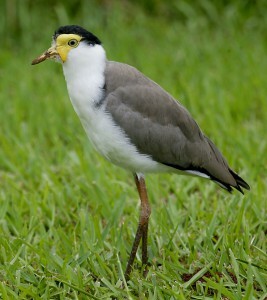 However, unlike the Magpie, Plovers simply swoop if you come in close contact with their nest or young. Plovers have special spurs on their wings that they use to attack in a swoop. Plovers are mainly found in open areas such as sporting fields or public parks, as they’re quite happy to nibble on a worm or two. These birds pose no threat to the inner city however, they may nest on your property and spread bird lice. 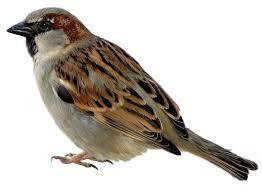 Sparrows are small birds that are often found foraging for insects in your backyard. These birds were introduced to Australia from Brittain in the Pioneering era, and have largely expanded their habitat across the country. These little birds were introduced to Australia from Brittain in the Pioneering era, and have largely expanded their habitat across the country. House Sparrows are almost as common in the city as pigeons, and they compete for scraps such as bread and seed. The Torresian Crow is a large and purely black bird that has established vast habitual areas across the country. 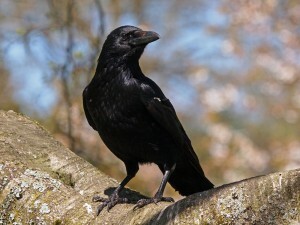 They are well known for picking at carcasses along the side of highways, as well as their distinguishable ‘crow’ call. Crows are known to scavenge for food amongst humans are typically unphased by human interaction. They will eat just about anything from fruits, eggs, meat, grains, and garbage. If you’re ready to have one of our technicians assess your property for bird management solutions, please contact us on 1300 669 092, or send us an enquiry HERE.